It’s a memorial to Bobby Scott who died at this spot in a motorcycle accident in the summer of 2006. Each year these memorials have been appearing and becoming more elaborate with each year. 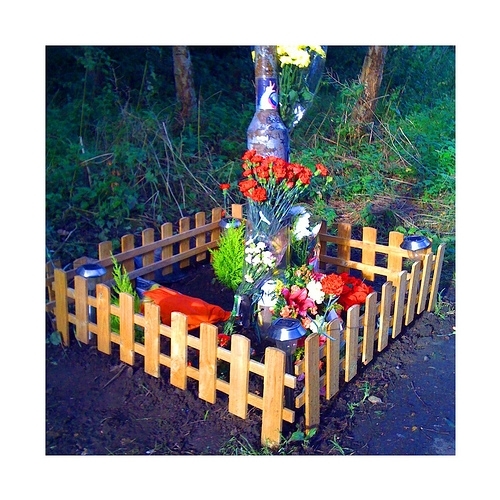 This one has a little picket fence and four solar powered lights at each corner in addition to numerous floral tributes. Despite all the outward appearances of affection, I always wonder whether he died alone at this spot.